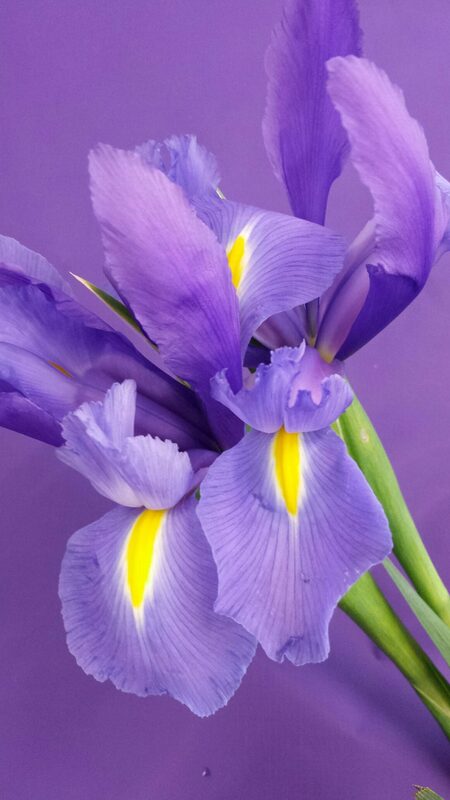 10 stems of Iris beautifully gift wrapped. 10 stems of seasonal iris gift wrapped. 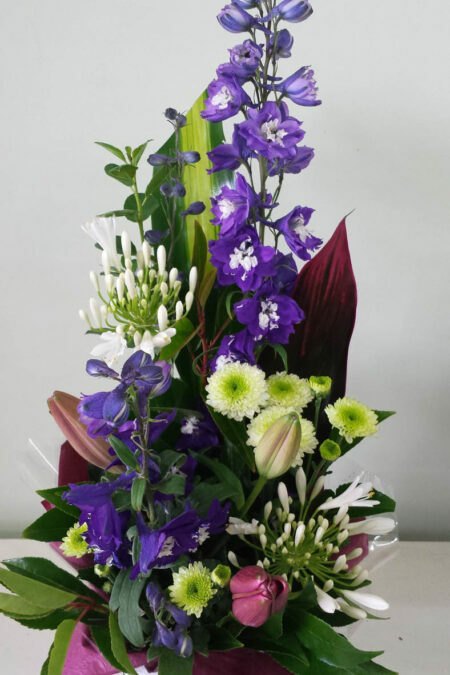 A selection of seasonal flowers designed in a box in either an upright style or in a low round posy style. 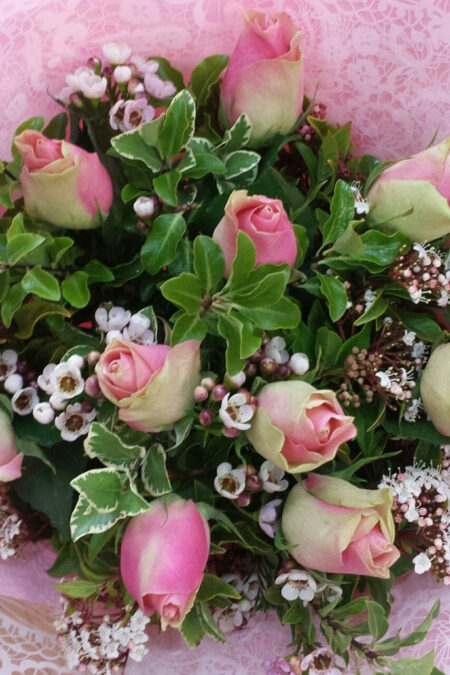 This sweet pastel coloured 10 short stem rose posy is a thoughtful gift for a variety of occasions. 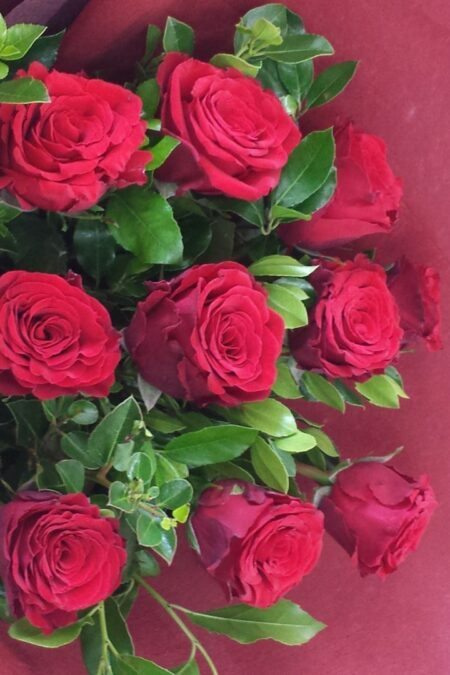 10 shorter stem red roses beautifully gift wrapped in a bouquet for your loved one. 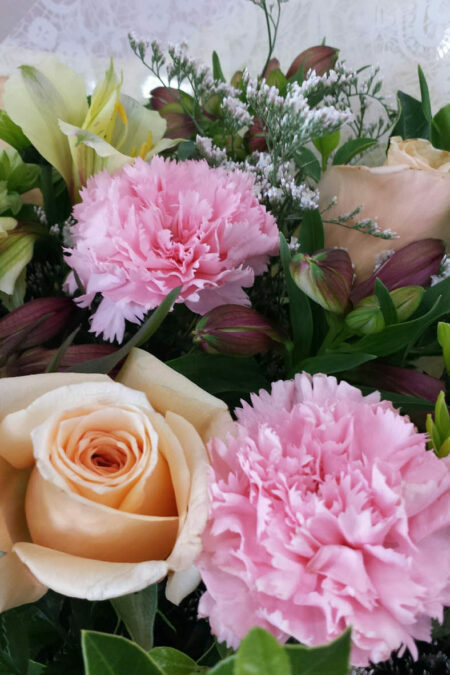 Beautiful bouquet featuring soft coloured roses and a mix of seasonal flowers. 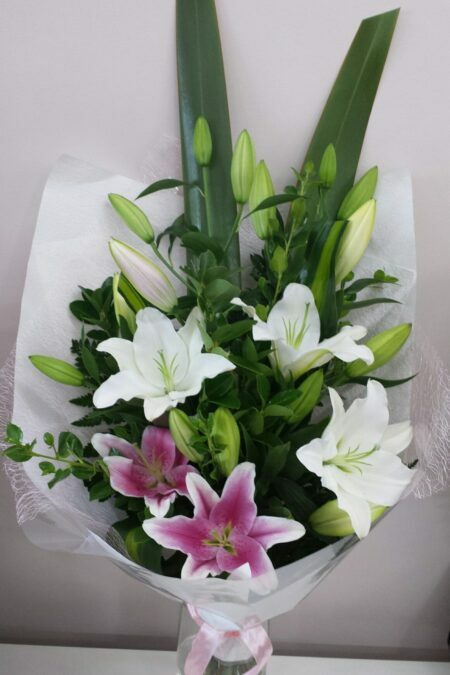 Taller style bouquet with a mix of long lasting lilies and lush foliages. 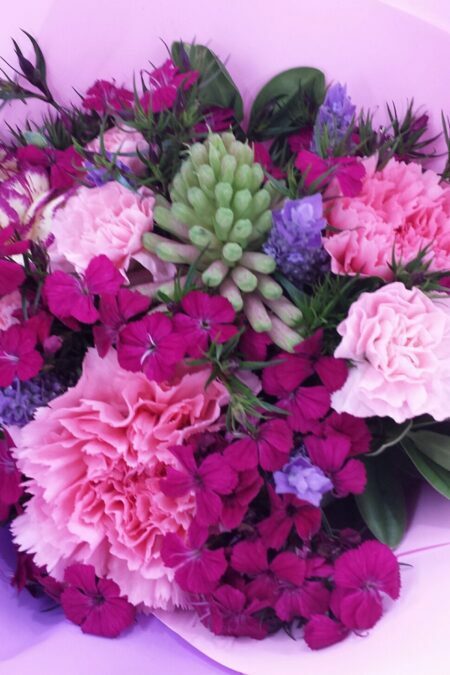 A lovely compact posy of seasonal blooms perfect to brighten any table. 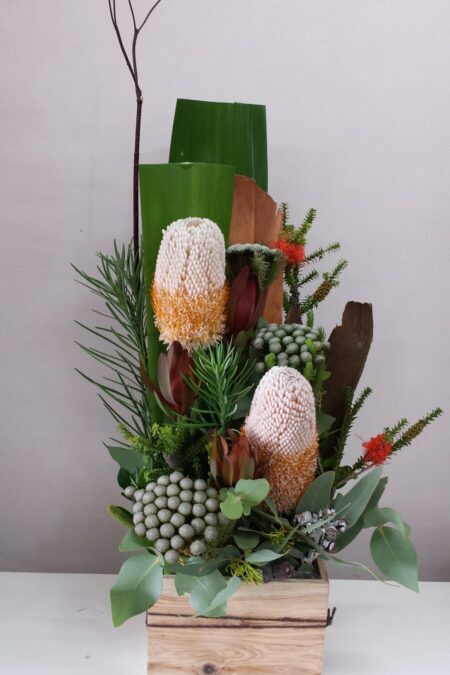 Add a glass vase to complete the look. 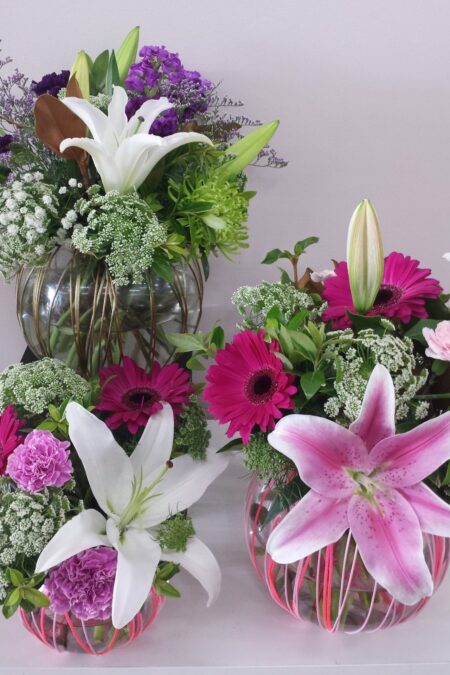 A beautifully decorated glass fishbowl design in bright pinks or purple and white flowers. 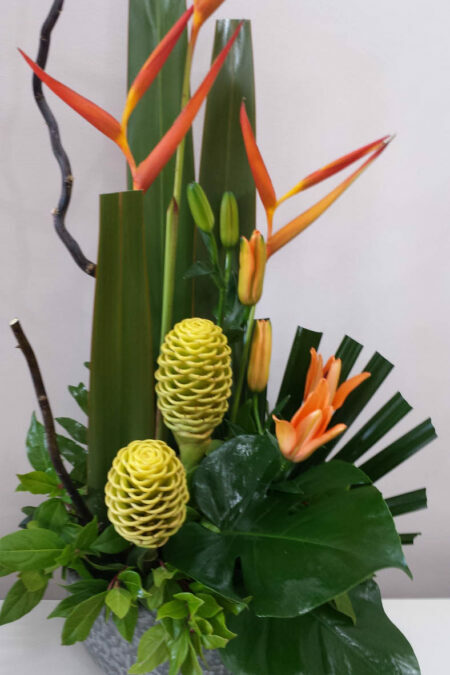 Perfect gift for your loved one! 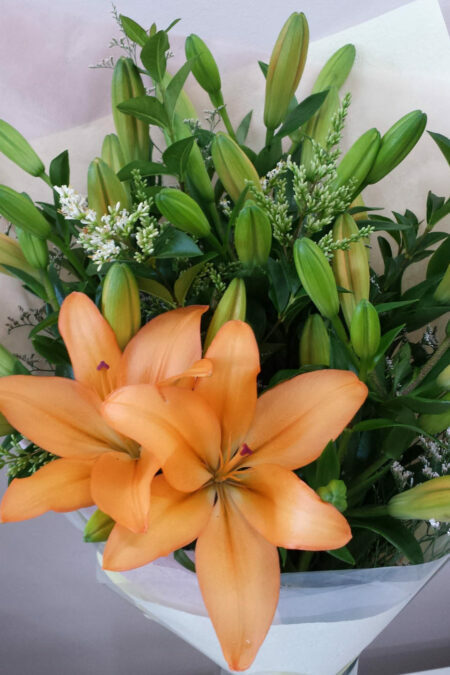 Beautiful oriental lilies arranged with lush green foliage and gift wrapped. 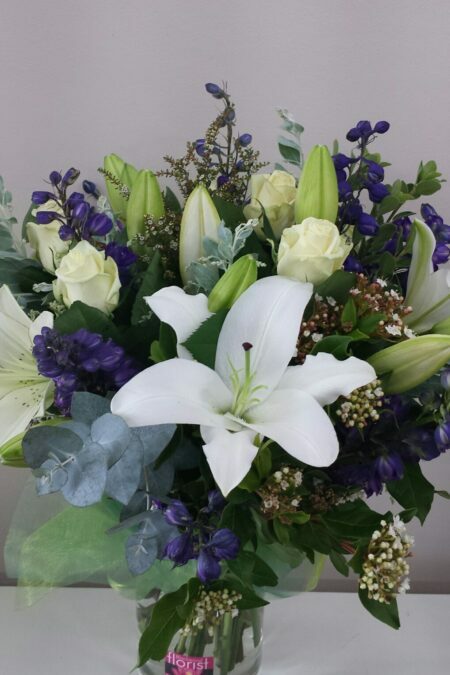 White and purple flowers in a lovely round bouquet beautifully wrapped. 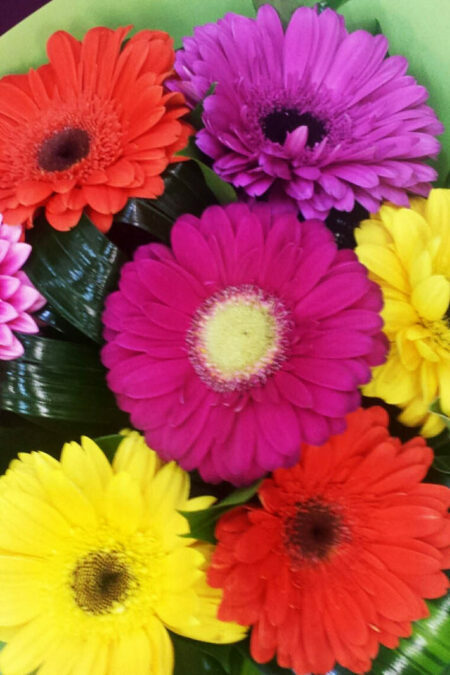 A popular favourite, bright colourful gerbera’s in a bouquet, gift wrapped.